Charlotte Field (Charlize Theron) is one of the most influential women in the world. Smart, sophisticated, and accomplished, she’s a powerhouse diplomat with a talent for…well, mostly everything. Fred Flarsky (Seth Rogen) is a gifted and free spirited journalist with a self-destructive streak. The two have nothing in common, except that she was his baby sitter and first crush. When Fred unexpectedly reunites with Charlotte, he charms her with his self-deprecating humor and his memories of her youthful idealism. As she prepares to make a run for the Presidency, Charlotte impulsively hires Fred as her speechwriter, much to the dismay of her trusted advisors. A fish out of water on Charlotte’s elite team, Fred is unprepared for her glamorous and high stakes lifestyle. However, sparks fly as their unmistakable chemistry leads to a round-the-world romance that becomes embroiled in a series of dangerous and outlandish incidents. Offer opens at 11.00am AEST on 26 April, 2019. Limit one redemption per eligible member. Limited to the first 100. Offer ends 28 April, 2019 or while stocks last. 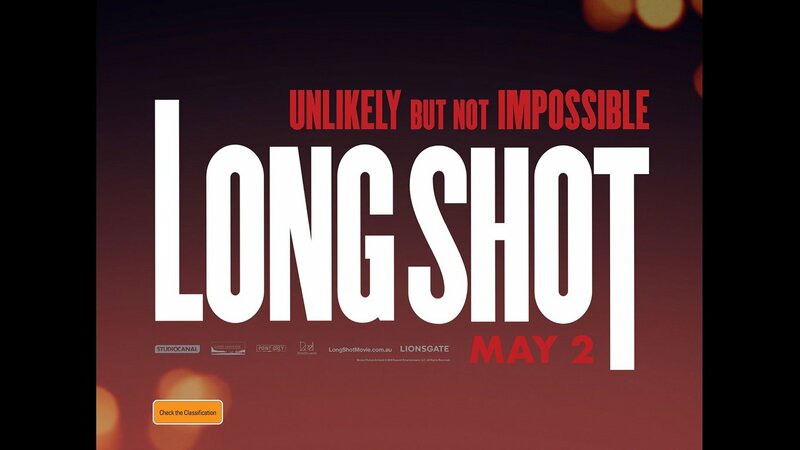 The double pass will admit up to 2 adults to watch LONG SHOT at any participating cinema. Ticket terms and conditions apply. Tickets not redeemable for cash and not transferable. Individual double passes valued at $44. Total prize pool valued at $4400. NSW Permit No. LTPM/19/04146. ACT Permit No.TP18/02152.